C.W. Roberts Contracting, Inc. (CWR) is honored to announce the launch of its newly redesigned website (www.cwrcontracting.com) and company logo. The new website is easy-to-navigate and user friendly, allowing visitors to see examples of CWR’s work and learn more about its services. The new site is fully responsive and mobile device friendly. Visitors can navigate through a project portfolio featuring CWR’s work on a wide range of federal, state, and county projects throughout Florida. 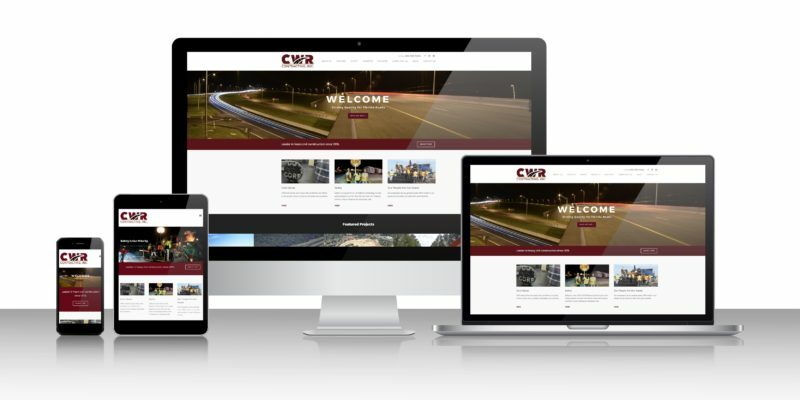 The site also boasts an interactive timeline showcasing CWR’s history and how the company established its solid reputation as the premier asphalt contractor since 1976. CWR also updated its corporate logo with a refreshed, modern look. The logo features new colors,¾ garnet and gold, with a symbolic paved road and contemporary font. The colors were chosen because the corporate office is located in Tallahassee, Florida, home of the Florida State Seminoles. CWR encourages clients, employees, and future customers to connect with us on Facebook and LinkedIn to receive the latest information about industry trends, upcoming projects and open job positions.